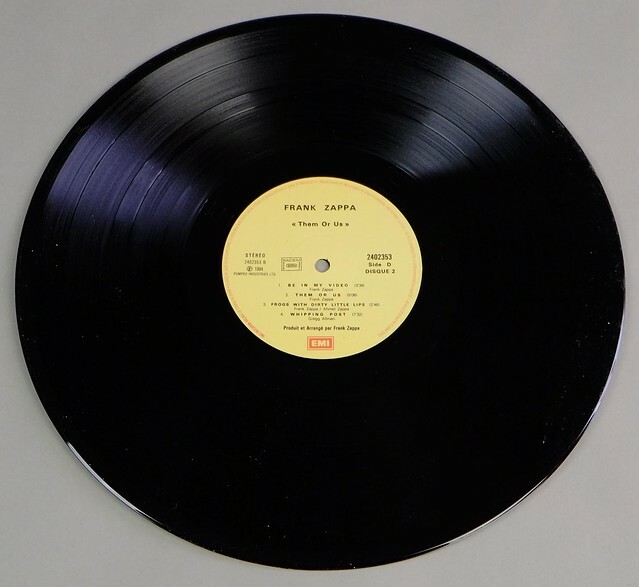 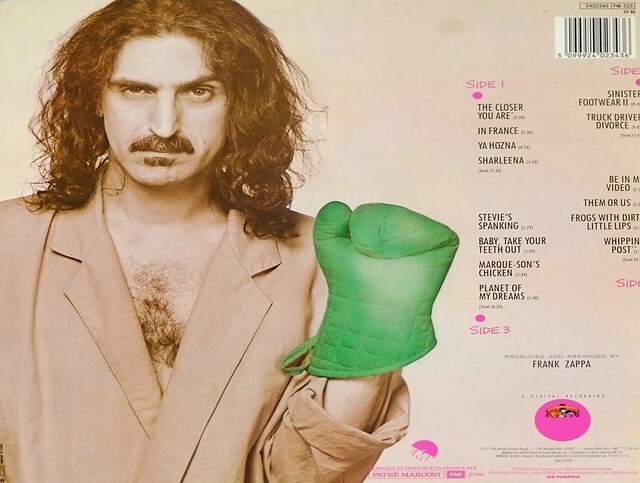 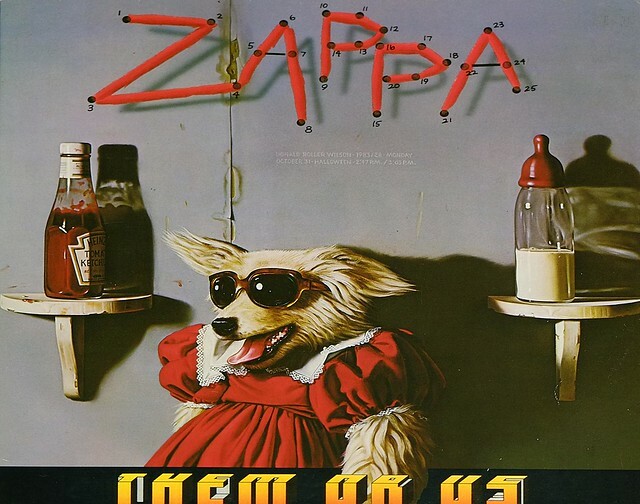 High Quality Photo of Album Front Cover "FRANK ZAPPA Them Or Us DLP FoC"
This album "FRANK ZAPPA Them Or Us DLP FoC" is the rare French releas, released in October 1984. 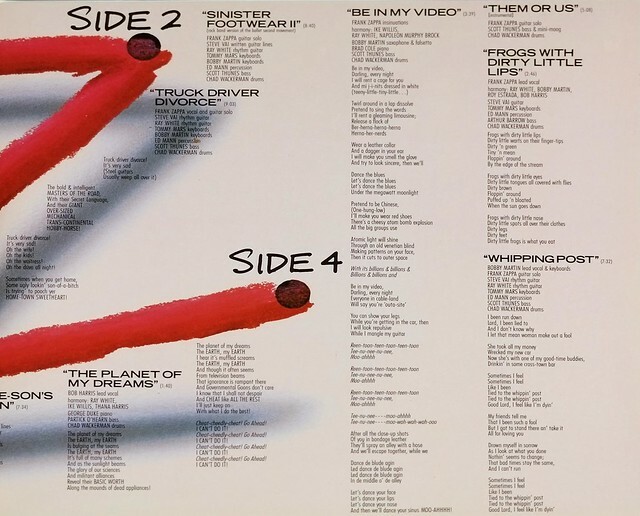 Its opening and closing tracks are covers: "The Closer You Are", which was written by Earl Lewis and Morgan Robinson and originally released by The Channels; and "Whippin' Post", originally recorded by The Allman Brothers Band. Zappa also produced and arranged the album. Complete Track-listing of the album "FRANK ZAPPA Them Or Us DLP FoC"